El Plantio Golf Club is located close to Alicante Airport, but the hillside that it is built on works as a perfect buffer against the sound of planes. The course is a parkland layout with water on a number of holes and palm trees everywhere. 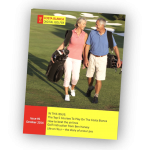 The club benefits from a very good driving range, a par 3 course and a big putting green. The modern clubhouse is a welcome relieve at the end of the round. 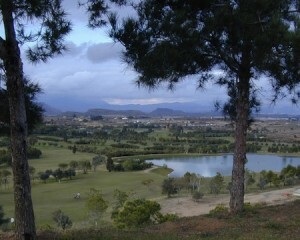 “I have been playing golf at El Plantio for about 18 years. I first played when it was just a par 3 course, everything has changed since those days! When I first checked out the El Plantio golf reviews on the websites as shown below I was a bit disappointed, but then I realised they were a true reflection of what I know. The course is a great layout, but relatively straightforward. It all changes when you get to 13 with a tough testing uphill par 4, then a good par 3 around the side of the top of the hill. 15 is a par 5 downhill, time to open the shoulders and go for a boomer. 16 is a short par 4 which seems driveable, but it is well protected by bunkers. 17 is a long par 4 with the green protected by water. The final hole is a par 3 which is quite long, I just don’t like the last hole to be a par 3. The owners have developed a small resort to the side of the course which by all accounts is a fabulous place to stay, but you do need a car to get anywhere else. In the middle of the course there is an unfinished building project that failed to get planning permission. This golf course is not a hit – even at the reception rather unfriendly. Then there is a place where 14 holes to go back and forth, just without many exciting moments. From 13-17 hole then comes again to joy. The greens were under way-but this was not apparent at the reception. We, 4 people would no longer play here – are much nicer clubs in the area.